Referrals 1-3 receive a $100 check or $200 in All Star Loyalty Points. 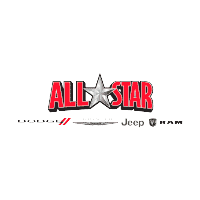 Referrals 4+ receive a $200 check or $300 in All Star Loyalty Points. When you buy a car from us, you will qualify for our Advocate tier for 90 days! That means for every referral you send our way within 90 days of purchasing a vehicle from us, you will get a check for $200 or $300 in All Star Loyalty Points, plus your choice of a gift from our parts boutique! Have you purchased a vehicle from us in the last 90 days? Who did you refer to us?